Eric Carle’s timeless classics have made their way off the page and onto the stage. 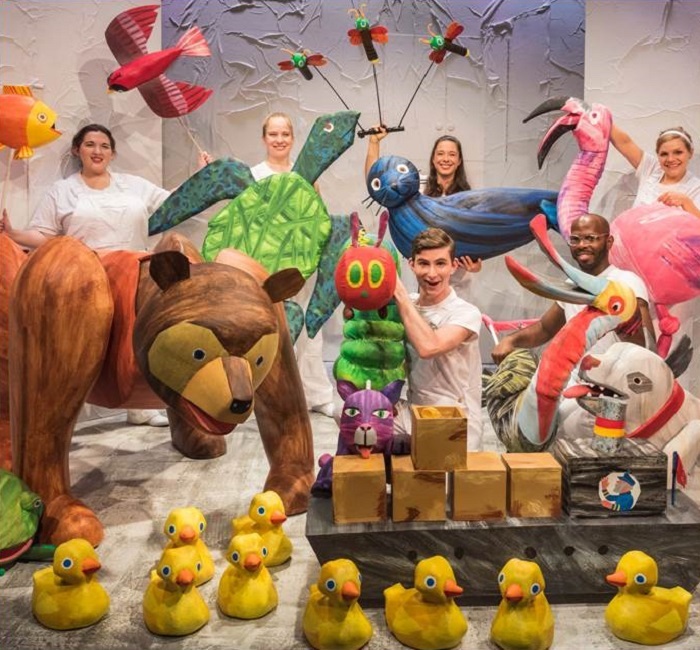 “The Very Hungry Caterpillar Show” adapts Carle’s books, “Brown Bear, Brown Bear,” “10 Little Rubber Ducks,” “The Very Lonely Firefly” and “The Very Hungry Caterpillar,” into a stage production with a menagerie of 75 lovable puppets. All Frederick County Public School reservations must be made through the FCPS Elementary VPA office. Please contact [email protected] or 301.644.5161. SPECIAL NEEDS: ASL Interpretation is scheduled by request only and must be made at least 30 days prior to the performance. If your group contains any wheelchairs or motorized chairs, you MUST inform the box office manager. Call 301-600-2878 to do so. Please note that wheelchair space is limited to a maximum of 6 wheelchairs per show.